Fayette quarterback Blake Wallace completed this perfectly timed pass over the outstretched hands of a Northside defender into the waiting grasp of Tre’Darion Walker (6) for a 45-yard touchdown play. 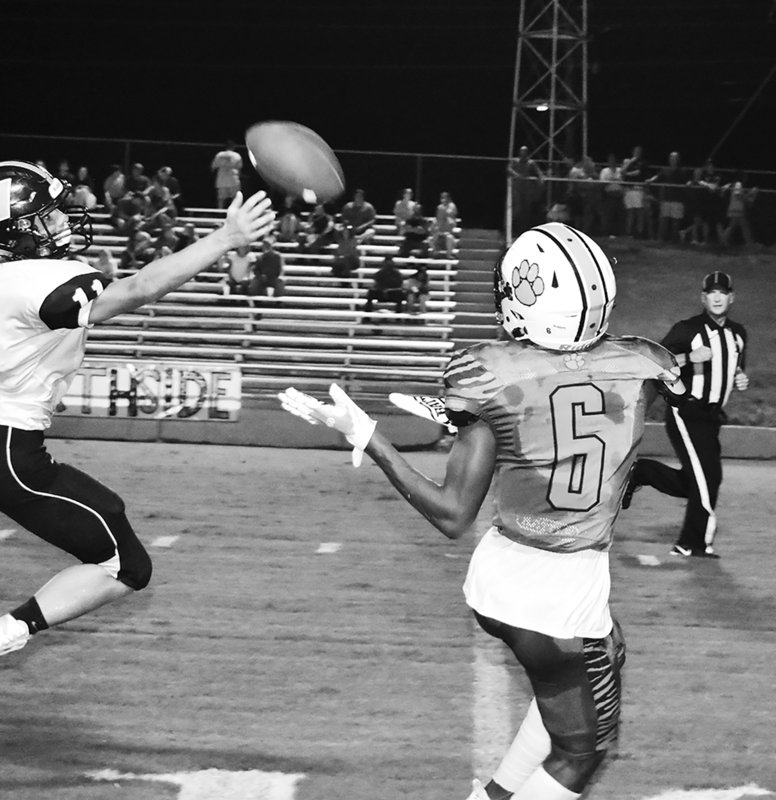 The Fayette Tigers used a balanced offensive attack and a strong defensive effort to dominate the first three quarters, defeating the Northside Rams by a score of 27-12. The Tigers allowed Northside only 123 yards of total offense in the first three quarters and led the Rams 27-0 entering the final quarter of the game. Fayette appeared to enter the game with a renewed vigor, after losing to its rival Winfield the previous week. The Tigers also unveiled a new style uniform for the first time, as they took the field in their”Eye of the Tiger/Warrior” uniforms.